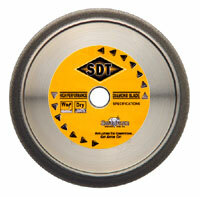 The PW Pro Series Profile Wheels are ideal for profiling marble and granite on wet tile saws using a variety of contours, including bevel, dupont, and ogee. These profile wheels are available in either electroplate or metal bond configurations. The CC Series Crack Chaser Blades are designed to repair concrete cracks by routing and grooving existing cracks to widen it for resealing. Crack chasers are ideal for right angle grinders. The GW Series Grinding Wheels contain one or more rows of diamond segments, continuous rims or turbo rims to effectively grind rough surfaces and provide smooth finishing on a wide variety of aggregates, including granite, stone, and concrete. 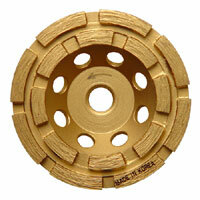 These wheels are designed for use with right angle grinders. 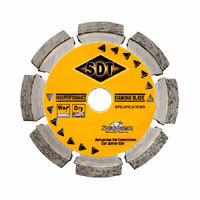 The TP Series Tuck Point Blades deliver fast, efficient removal and cleaning of mortar joints in preparation for sealing. 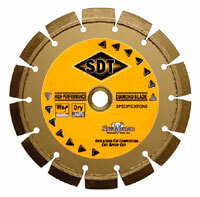 These blades are best used on right angle grinders.